This is why flying bison’s are almost extinct! But you’ll be glad to know that this hooded scarf is not made from Appa and comes with bison paw mittens in the scarf ends to keep your hands and fingers warm. Yip! Yip! 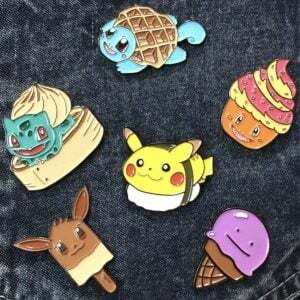 Give your outfit or keyring a geeky touch with these Pokemon card charms! Made into either a fashionable necklace or flashy keychain, these handmade charms are made with real Pokemon cards. Creates the perfect accessory for any Trainer! 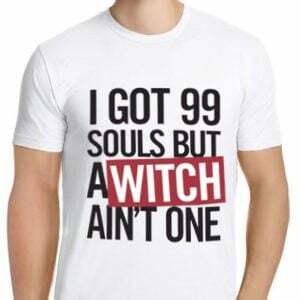 If you’re having demon problems I feel bad for you son, I got 99 souls but a witch ain’t one! Let everyone know that witches are the very least of your problems with one of these hilarious Soul Eater t-shirts or hoodies. This Haku dice holder figure in his dragon form ideal for roleplaying, board games and fantasy lovers! Haku is suitable to fit any kind of dice, with any number of sides. Matching dice also included with the figure! While the appearance of Titans any time soon can’t be guaranteed, you can be rest assured that you’ll look the part when the time comes with this cosplay replica. Comes free from Titan blood. Mmmm box fresh! Sleeping, chilling and watching your favorite shows, who wouldn’t want to live the lazy life of Rilakkuma? Staying warm and cozy while doing all your favorite things in and out of the house wearing this adorable Rilakkuma onesie! There’s more to manga than just big, shiny eyes and funky hair! YouTube’s most popular art instructor, Mark Crilley will show aspiring Mangaka’s how to achieve that authentic manga style. A lead to your next artistic journey! 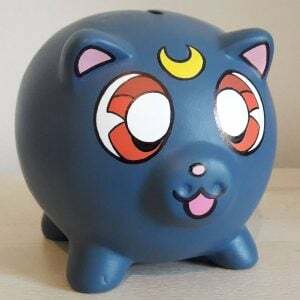 Display some romance under the moon on your wedding day by topping off the cake with a Sailor Moon X Tuxedo Mask cake topper. The custom bride and groom silhouette figures will give that special day a magical girl touch. Turn your childhood dream of owning a Pokemon into something straight out of a horror movie! These Frankenstein-like dolls are made from various parts of Pokemon plushies, stitched back together to give you a new one of a kind creation. Show some love for anime and honor your otaku pride by slapping on this informative car bumper sticker! The decal is water and UV resistant, which means it can be applied anywhere even if you haven’t quite saved up for a car yet.